As a successful business owner you have a detailed understanding of what is required to make your business succeed. You, your employees and business advisers are focused on ensuring your business continues to create value for your customers, maintains your competitive advantage and exploits market and competitor opportunities. However, successful business owners tend to focus their time and energies on their business, sometimes at the expense of their personal needs. One of the key challenges facing any business owner is how you convert your enterprise into wealth – or, to put it another way, how you can extract the rewards for the many years of hard work and sacrifices made in building your business, to create financial independence for yourself and your family. When considering exiting your business, it is always best to plan as far ahead as possible. Close examination of your business to understand its strengths, as well as the areas where you could improve operations, can considerably increase the value you can achieve. If your business has, or can demonstrate, a track record of strong, growing profits it will be of great value to potential buyers. Knowing where your expenses are incurred, where savings can be made and demonstrating a good track record of expense control all help. To maximise your exit value, the business must be able to stand alone without your involvement. This will mean recruiting a strong management team to whom you can delegate the running of the business. Your products and services should also be scalable and your business should have unique selling points, whilst you keep an eye on competitors. A strong client base is needed, with measures established to protect it. Set up long-term contracts with key customers but also reduce dependence on key clients. You should have appropriate commercial contracts with key suppliers, employees or any individual or entity that could impact your business. Ultimately, you should consider the issues that may arise with any potential purchaser who will conduct his or her own due diligence prior to a sale. When considering your options of what to do with the proceeds of so many years of hard work, you will need to take advice and consider the taxation consequences of the variety of options open to you, and where to invest your wealth. While it may be practical to delay any investment decisions until you have become accustomed to the funds you have at your disposal, it will increase the tax-efficiency and flexibility of your options if you decide, before you sell the business, what you are going to do with the profits. As part of this process we will work closely with your existing professional advisers, ensuring you make the most of your business assets. At the same time, we will be working with you to do exactly the same for your personal assets. We believe you should plan for your financial security as rigorously as you plan for your business success. To achieve this, you need an adviser who understands you and your business and will work with you to ensure you obtain the maximum benefit from all your hard work. 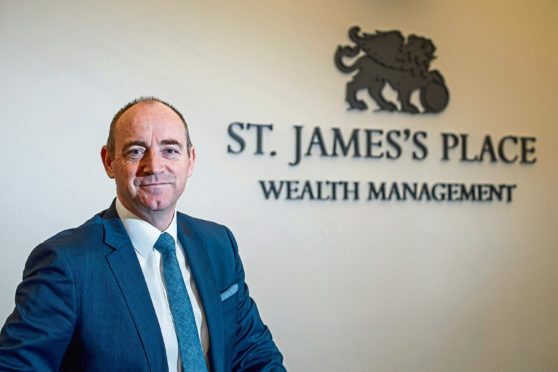 Succession planning may include referral to a service that is separate and distinct to those offered by St. James’s Place.